How can the public sector get over itself and start working together to make stuff happen? It’s hard to argue with the above example. The ISG has been developed to improve and modernise the administration and risk assessment of information sharing in the public sector, saving a monumental amount of time and GDPR compliance. Hilary’s argument is that people aren't using this platform because they simply don't know it exists - hopefully, now they do. As an advocate of collaboration, Hillary is a loud and influential voice when it comes to sharing best practice - you can find other useful tools and ideas on her blog. While the public sector may possess an incredible amount of useful data, it is so disparate and unmanaged that nobody is sure what to do with it. This is a ‘paralysis by analysis’ scenario, whereby each organisation is so busy attempting to restore order to its own data set that it neglects to make it public. This is exacerbated by the fact no individual or organisation wants to put their head above the parapet when it comes to making information public that might be incomplete or downright wrong. This goes beyond the linear transaction of data sharing and collaboration and points to more sinister issues holding the public sector back - politics and self-preservation. You’re not punished for doing the same old thing. You’re not rewarded for coming up with great new ideas. Thankfully, there appears to be light at the end of the tunnel. In perhaps the ultimate cloud-and-silver-lining scenario, what our group of experts have found is that the continual cuts to funding are prompting greater collaboration. It is pushing organisations to work together and, by proxy, this means sharing ideas and best practice. This self-perpetuating cycle means that the more collaboration takes place, the better, slicker and quicker processes and inter-organisational relationships become. 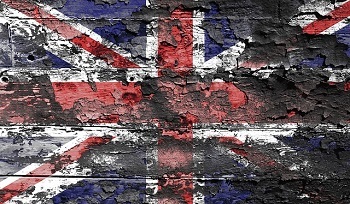 So what does the future hold for the UK public sector? While there are endemic and systemic issues, what we have also seen is that there is a desire and hunger to bring the UK public sector into the 21 Century and build something that will not need another root and branch review in a generation’s time. We have heard from leading pioneers from a variety of backgrounds but all with the ambition to challenge the status quo. Yet, irrespective of the issue, perhaps the overriding theme of the evening was the desire to do things differently and evoke positive change in the public sector. Whether it is data sharing, working with SMEs or engaging with new techniques and technology, the message is clear - that even the smallest and most simple changes can sometimes yield the biggest results.